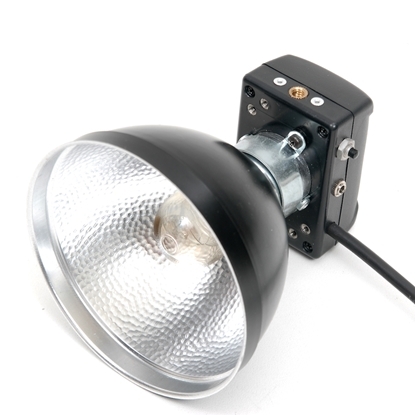 The HSMQ is the smallest 2400ws Flash Head with a modeling light in the whole world! It's not crazy expensive for what you get in this tiny Flash Head. It has the same high quality circuits and flashtubes and modeling bulb as the more expensive Heads, just in a smaller molded enclosure. The HSML is electronically the same as the larger heads except for the lack of the household sync connector. This is an awesome Head for on a camera bracket or boom arm since it is so small and lightweight. If you wanted to use it on a light stand, it has twin 1/4-20 mounts for the stand and an accessory of your choice. This Head includes a grid and diffusor set with the reflector, a Modeling Bulb (AMBR) and 2400ws Modeling Flashtube (AFTQ). 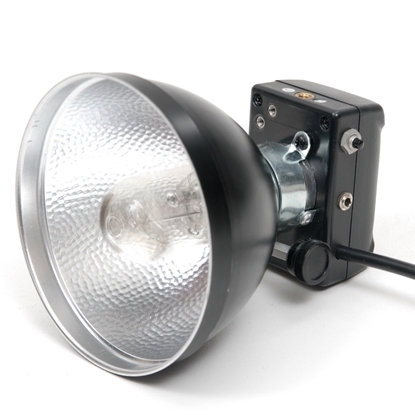 The Extra Small Modeling Head is the smallest and least expensive Flash Head with a modeling light. It has high quality circuits and the same modeling flashtubes and modeling bulb, just in a smaller molded enclosure. The HSML is electronically the same as the larger heads except for the lack of the household sync connector. This is an awesome Head for on a camera bracket or boom arm since it is so small and lightweight. If you wanted to use it on a light stand, it has twin 1/4-20 mounts for the stand and an accessory of your choice. This Head includes a grid and diffusor set with the reflector, a Modeling Bulb (AMBR) and 800ws Modeling Flashtube (AFTE). This is the high power 2400ws Basic Head and is a great value. It has high quality circuits and uses the same flashtubes as the bigger Heads but in a smaller molded enclosure so they are also less expensive. They are electronically the same as the larger heads except for the lack of the household sync jack. 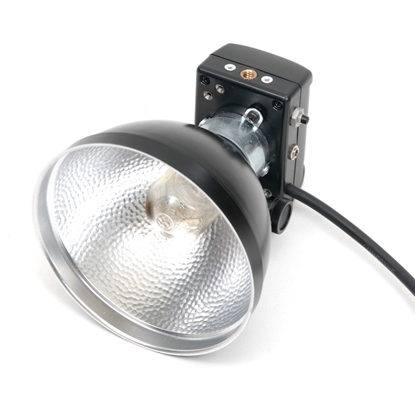 It is true that the "Basic" Extra Small Heads are the only Heads currently offered without a modeling light which is one of the reasons that it is less expensive than all the rest of the Lumedyne Heads. It also saves money by avoiding duplicating the Power Pack's ready indicator on the Head. This is the best value for a Flash Head that just flashes, and does it well. This Head includes a grid and diffusor set with the reflector and 2400ws Quartz non-modeling Flashtube (AFSQ). The Extra Small Basic Heads are the best value of our Flash Head options. They have high quality circuits and the same flashtubes in a smaller molded enclosure so they are also less expensive. They are electronically the same as the larger heads except for the lack of the household sync jack. It is true that the Basic Extra Small Heads are the only ones currently offered without a modeling light which is one of the reasons that it is less expensive than all the rest of the Lumedyne Heads. It also saves money by avoiding duplicating the Power Pack's ready indicator on the Head. This is the best value for a Flash Head that just flashes, and does it well. 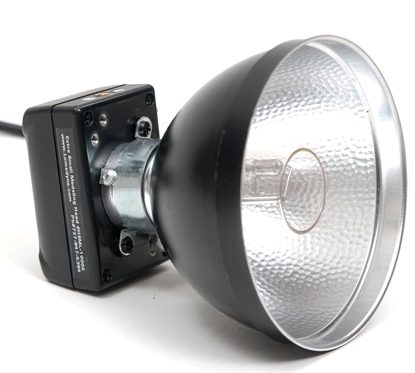 This Head includes a grid and diffusor set with the reflector and standard non-modeling Flashtube (AFSE).